Is there such a thing as bad personality profiling? There is a common misconception that employers should be avoiding specific personality profiles because these are fundamentally “bad”. 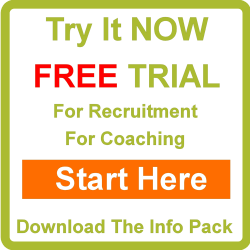 This is a myth spread by consultants over many years to scare recruiters into hiring them. The myth essentially exists to convince employers that a consultant can spot something “bad” in a candidate, that the employer will not be able to see. However, this is largely smoke and mirrors. While there are some personality types that will find the work you offer more suitable than others, there is no such thing as a “bad” personality profile. What personality profiling works best in sales roles? One of the most common scenarios that we see personality profiling being used is in sales roles. If you happen to be recruiting a sales person then you may be under the belief that there is a specific personality profile for an ideal salesperson. This is not the case. People are a lot more complex than this. Not all sales environments are the same. Some environments change every day and see the salesperson visiting new people every day. Other sales environments are very repetitive. If you want to know what personality type will work best in your specific sales role, then you need to carry out a personality work environment analysis. PeopleMaps provides you with the Work Environment Analyser Tool to help you figure out exactly what you are offering. Once you know this, it’s pretty simple to compare new candidates with your environment and see who it most suits. Do we need personality profiling for each job title? It is a huge mistake to presume that two jobs with the same job title are the same. Both may offer a very different work environment and it will be the compatibility between the work environment and the individual that determines whether they excel in the role or not. It is recommended that you conduct a personality profile for each job role you have. Once you have this on record you stand a better chance of placing the right people in the right job. If you don’t know this then it’s very much a guessing game. There are a number of factors which determine the work environment personality profile, which is why we recommend you use the PeopleMaps Work Environment Analyser Tool, which is available inside the Tools section of the PeopleMaps Control Room. How do you use personality profiling when recruiting? So if you are recruiting then there are a number of ways you can use a personality profile. Get the personality profile of each work environment you offer. Get the personality profile of each candidate and see if it is a reasonable match for your work environment. 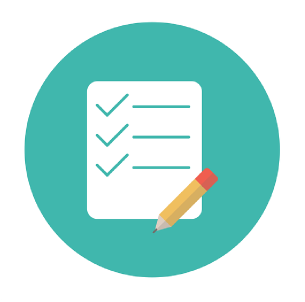 Use the personality profile to create your priority short list. Use the personality profile report to interview candidates and get to know them quickly. Give yourself every competitive edge you can. One way of doing this is to hire better staff than your competitors. Here you will find an article about Personality Profiling Software and Techniques and you may also want to read about how to use a personality profile test here.